See how Qlik uses its own products to maximize sales performance. Some at Qlik say “We eat our own dog food” but I personally prefer “We drink our own champagne”. You would expect any business intelligence and analytics software vendor (including Qlik) to heavily use its own products. Yet when I speak to industry colleagues who work at other companies, many of them still rely on antiquated static PDF reports and manual Excel analysis. 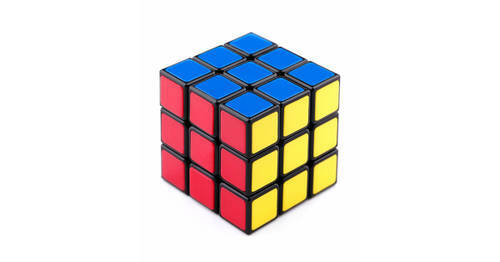 They cite reasons such as too many internal political hurdles, overly complex processes to access data and a steep learning curve before they get frustrated and fall back to traditional approaches. That problem certainly doesn’t exist at Qlik customer LUSH Cosmetics. In this press release, they reveal 70% of the staff is accessing Qlik every day to review sales and managers are monitoring performance via their live sales portal. 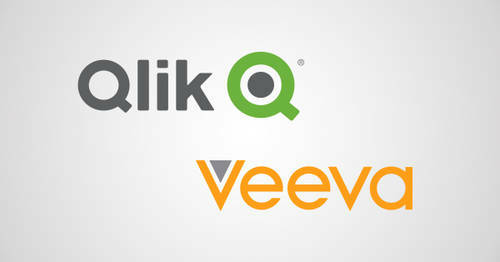 I can confidently say Qlik has massive enterprise adoption of its own products. Using built-in product monitoring capabilities, we know that more than 95% of our employees are active QlikView and/or Qlik Sense server users. Additionally, every employee has the products installed on their laptop for local and offline use. 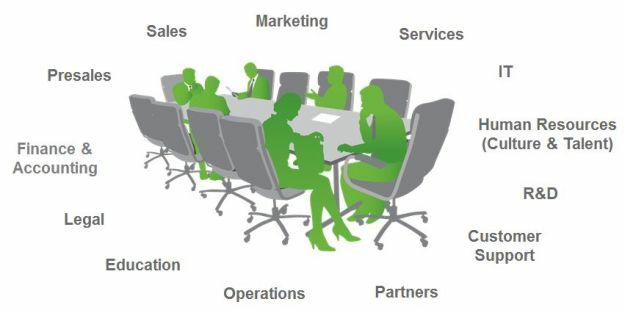 Users span all departments including Sales, Marketing, Finance, IT, Alliances, R&D, Services, Support, Legal and HR. Employees have access to a centralized, self-service portal where apps are made available based on role and security. A small team of IT and Business Operations employees control the infrastructure, data access, governance and security while business users are empowered to interact and tailor apps for their everyday use. Over the past 18 months, Qlik has embarked on a sales performance transformation initiative targeted at all of the field-facing sales and marketing employees. The aim was increasing sales productivity and enablement while getting better top-to-bottom alignment on aspects like pipeline, forecasts, territories and predictable revenue. Data was merged from multiple sources including Salesforce, Data.com, Marketo, NetSuite, DataHug and Lattice Engines. As highlighted in my prior blog on Avoiding Worse Practices for Sales Analytics, software technology needs to be coupled with people and processes to have a transformational impact. Qlik understood this early on and engaged a 3rd party consultancy named the Mentor Group to define new processes, cadence and purpose-built analytical apps based on Qlik’s products. The end result was a successful rollout of a new program called the Qlik Sales Management System (QSMS). It included a new set of disciplines and regular cadence which is followed globally from the C-level executives all the way down to individual contributors. New Qlik apps named ‘Sales360’ and ‘Market360’ were deployed and are now two of the most commonly used apps across Qlik. 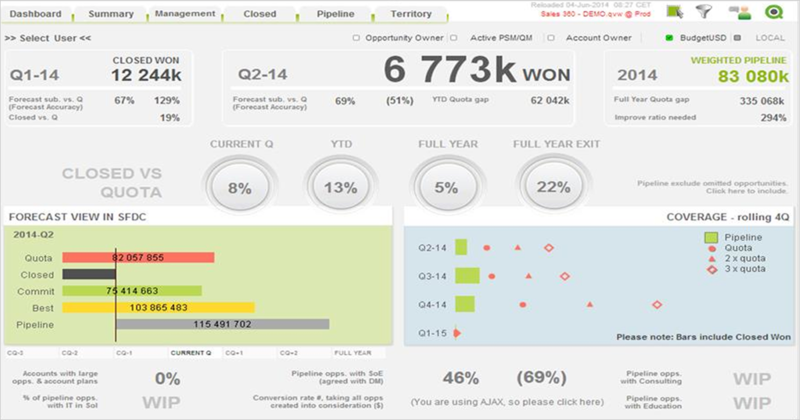 Results were quantifiable and progress can be tracked in near real-time using the Qlik apps. You can read more and watch Qlik’s SVP of Sales share his perspective in this interactive PDF and video. If you are interested at a more in-depth overview and demonstration of Qlik’s internal Sales360 app, take a look at this on-demand webinar Sales360 – A Complete View. Hopefully this stimulates some ideas on how your organization can take its analytics adoption to the next level. If it all sounds too good to be true, put us to the test and ask your Qlik representative to schedule a live demo of ‘Qlik @ Qlik’. Just be ready to be amazed!